With a year-round milk supply, the United States is well-positioned to meet the ever-increasing global demand for dairy fats. 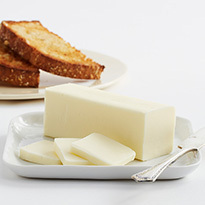 U.S. manufacturers provide a variety of different butter and milkfat products. From East Coast to West Coast, U.S. suppliers are focused on customer needs and are ready and eager to partner with them all around the world. Discover the breadth and depth of U.S. milkfat products by browsing our portfolio of products and learning more about the capabilities of the U.S. dairy industry.